1/5: Save Your Energy Tonight! 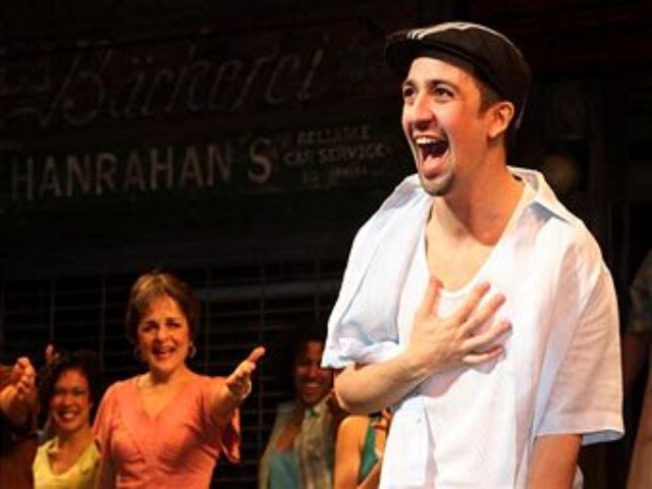 Lin-Manuel Miranda's hit show "In the Heights" is coming to The Bushnell for 8 performances only. It starts Tuesday, Jan. 5 at 7:30 p.m. While the winter cold has most of us contemplating hibernation, there are still plenty of things to do to take our mind off the next few months of Arctic freeze. SAVE YOUR ENERGY: Home furnaces are cranked and energy bills are skyrocketing. That's why the folks at The Hawthorne Inn are offering an "energy saver special." From 11:30 a.m. to 8:30 p.m stop on by this famous landmark on the Berlin Turnpike for $25 dinner that includes a choice of salad, entree and dessert. And if you've never been to the Inn, then you don't know what you're missing. The menu features a surf and turf that will make your mouth water and their prime rib is famous around the state. ASPEN-BOUND: If you can't beat the freeze, embrace it -- Aspen-style. Happy hour at Aspen Restaurant on Main Street in Old Saybrook will help you ease away a long day at work with a stiff cocktail. Starting at 4 p.m enjoy 20 percent off cocktails, beers and wines by the glass in the restaurant's chic, modern atmosphere. Then sample the contemporary American cuisine prepared by head chef David Borselle. NOT AFRAID OF "HEIGHTS": Don't miss the chance to see "In the Heights" at the Bushnell Center for the Performing Arts in Hartford. Winner of four Tony Awards, including best musical, this show is about chasing your dreams and finding your true home. The story explores three days in the characters' lives in the neighborhood of Washington Heights. Fun Fact: Lin-Manuel Miranda wrote the music and lyrics for the show while he was a student at Wesleyan University and it was first performed at the Eugene O'Neill Theater in Waterford. Opening night is tonight at 7:30 p.m. and there are still tickets available.